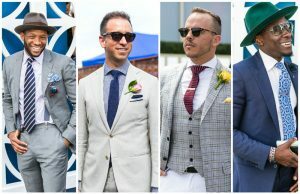 Menswear continues to be one of the most expansive and exciting areas of the fashion industry in recent years, with a wider variety of brands producing a range of styles that are more varied and layered than ever before. As new brands emerge to offer their own take on the future of men’s fashion, these brands are just a few of the ones that have made an impact internationally. Moschino is one of the most trusted labels in menswear, and their latest collection continues their tradition of striking aesthetics and provocative styling. The latest collection from the acclaimed brand features fabrics that are understated and play up the dichotomy between dystopia and the traditional in an innovative way. From metallic pants and accessories to hippie motifs, they offer pieces designed for the fashion forward man. Calvin Klein has been a leader in menswear for decades and is one of the most respected menswear labels in the world. From their ever-popular underwear to their quality outfits, fragrances, and sportswear, each collection is always highly regarded and expertly crafted. Stylish, cool, and eternally hip are just some of the adjectives associated with the Armani brand, with their menswear an international leader that produces a singular line of men’s fashion that resonates with men that demand quality. Offering an extensive range of high-end men’s products that include tailored suits to watches and perfumes, the Hugo Boss brand has forged a singular path in menswear that remains one of the most acclaimed and respected. As an honorable mention, the Woodhouse label celebrates Asian culture fused with an international direction that makes it a distinct brand. Not for everyone, and that’s by design, Woodhouse is for the truly confident man who thinks outside the sartorial box. Those who wear Woodhouse agree, it is truly in a league of its own. Bio: Dev Randhawa blogs about his travels around the world in search of timeless fashion trends everyone can use to add a little style to their life. Dev Randhawa blogs about the next big trends in fashion all over the Web, and on YouTube. March 29, 2017 in Clothing, Fashion.